Soul Sacrifice looms ever closer, now just a few short months away. I finally got my hands on the Japanese language demo and took it for a spin. Comcept's third person foray into spell casting fueled by self mutilation is a wild ride. Once again I was instantly reminded that I still can't read Japanese. You think I'd get on that. Lucky for me, my badass menu navigation skills are universal. I battled my way through the menus until I got to the real meat of the game. If you have an extra Vita memory card and a Japanes PSN account I highly recommend checking it out. The Soul Sacrifice home site dropped this four minute gameplay video the other day. If your Japanese is as poor as mine, you won't be able to follow the finer details, but you'll get the idea. Players roam a vibrant fantasy world, constantly powering up their right hands with god-like power in order to clobber the living hell out of grotesque monsters. Save or sacrifice your foes (and friends) and reap the rewards. Throw in some four player online or local ad-hoc co-op, along with some nice customization options, and you have my attention. Looks like the player sacrifices their co-op partner at 2:03 --which is actually not a bad thing for either of them. I'm telling you the game is weird in all the right ways. Hopefully Sony will come around and offer the demo here in the States (and the rest of the world) so those of you who are on the fence can give it a try. Seriously, how are you still on the fence after that video? If you do pick up the demo and find yourself lost, I suggest checking Epic Name Bro's Soul Sacrifice demo guide. Yup, it's the same dude who has like, a million Dark Souls Youtube videos. The site is in English, and it's geared toward guiding non-Japanese speaking players through the demo. It will even show you how to get the demo from the Japanese PlayStation Store. If you can convince a couple of buddies to come along for the ride you can all take advantage of the demo's four player co-op mode. Fair warning, you have to basically beat the demo before you can unlock co-op. So that's some fun information for the pre-launch, but what about post-launch? 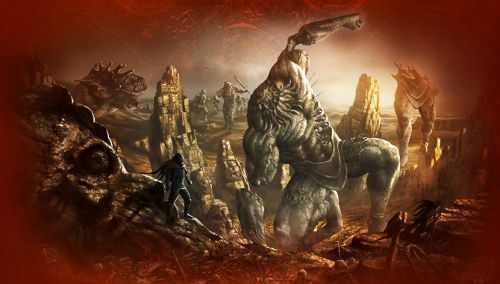 We all know modern games need a steady supplement of DLC, and Soul Sacrifice is no different. Siliconera has reported Sony plans to expand the game with additional missions in the future. The game is laid out as chapters in a book, so I can see this being implemented easily. It has also been reported that over 10 additional bosses will be added to the game for the low, low price of el zilcho. That's right, free boss content. I'll wait and see how boss the new content is before I get too excited. Soul Sacrifice supports four player online co-op or four player local co-op via and ad-hoc connection. It will launch on April 30th, exclusively on the PlayStation Vita.